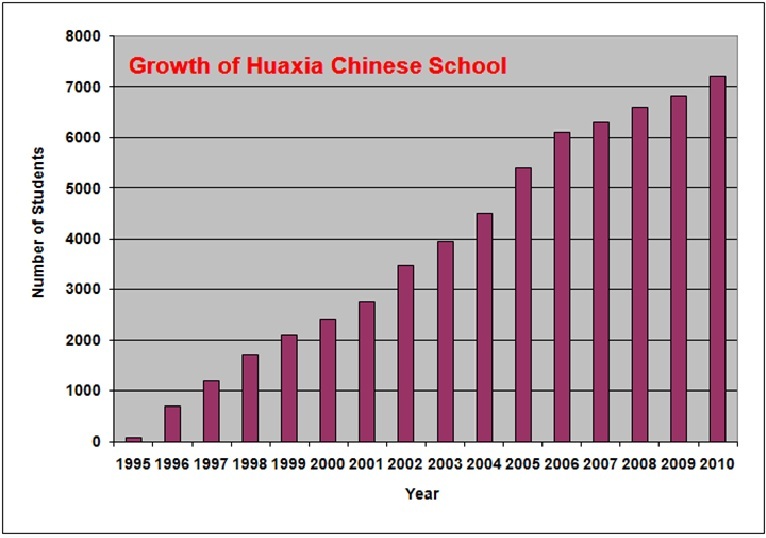 Huaxia Chinese School (HXCS) is a non-profit organization dedicated to teaching Chinese language (Mandarin) and Chinese culture classes using simplified Chinese characters and Pin Yin (Chinese phonic system). Being the largest of its kind in the United States, the school consists of 22 branches, serving over 7,000 students in New Jersey, New York, Pennsylvania, and Connecticut areas. HXCS admits students aged 4 and up of any race, color, national and ethnic origin to all the rights, privileges, programs, and activities generally accorded or made available to students at the school. It dose not discriminate on the basis of race, color, national and ethnic origin in administration of its educational policies, admission policies, scholarship and loan programs, and athletic and other school-administrated programs. HXCS regularly organizes speech and writing competitions as a way to encourage students to practice what they learn in the classroom. The language skills of the students are also tested every year through graduation exams. 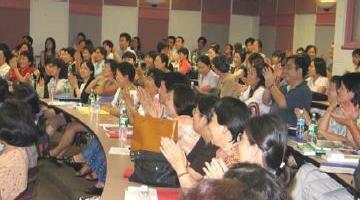 Each year HXCS organizes a special conference for teachers from all branches. Seminars and demonstrations are given by HXCS’s senior teachers and guest speakers, who cover the topics of pre-school language teaching, textbook selection, effective class skills and culture class teaching. HXCS issues certificates to qualified teachers as a way to recognize their teaching credentials and experience. HXCS’s annual Track & Field Games is the most exciting event for children and their parents. In the past decade former world Champions and titleholders, officials from State/local governments and Chinese Consulate General at NYC, as well as local celebrities were invited to the events to experience Huaxia spirit and enjoy the fun. It received wide support from school district as well as financial support from businesses. Huaxia Night - Chinese New Year Celebration is HXCS’s signature event held every year around Chinese New Year holiday season. Performers from HXCS, joined by famous artists from China as well as local artists and elites, make each performance an unforgettable experience for their audience. HXCS also organizes Huaxia Star, performed by the school’s students, Huaxia Choral Festival, Huaxia Arts Festival, and Huaxia Live Music Festivals, enjoyed and appreciated by its members and local communities. HXCS is playing an increasingly active role in local community activities. 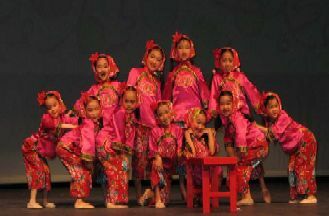 The school regularly participates in cultural activities such as Chinese New Year celebrations sponsored by local townships, China Day Celebration in Edison, Chinese Cultural Day in Livingston and Traditions Day and Founders’ Day in Plainsboro. The school also joined the nation in the campaign to raise money for disaster relief and helped victims of 9.11 terrorist attacks, Southeast Asian Tsunami and Katrina hurricanes in the United States. Over the past few years, many businesses supported quite a few of HXCS’s student academic programs and cultural activities. Some businesses also designed special financial programs for members of HXCS and yielded win-win results. HXCS welcomes continued patronage from all walks of life. With your support HXCS will be more successful in fulfilling its mission and meeting the increasing demand for Chinese learning in the future.